Tryon Palace is one of the many reasons that people have fallen in love with New Bern NC and we just had to explore it. It’s even a major part of North Carolina history, and we should thank those who’ve put in the hard work and tireless efforts to restore and manage the palace. 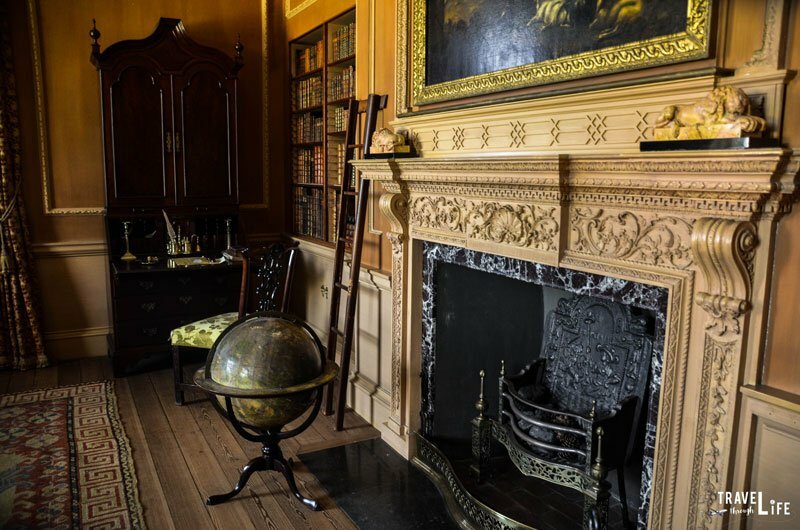 And that’s why I wanted to share this guide to Tryon Palace and more, so you’ll know exactly what it’s all about, when to visit, and how to get there. The Governor’s Palace was built for Governor William Tryon to serve as the first permanent capitol of the Colony of North Carolina, although he only spent one year there after it was completed in 1770. George Washington even visited in 1791 when he toured the South. A recreation of the original is what visitors will encounter today, as a fire destroyed the main building in 1798. Locals successfully rebuilt it in 1959, after years of tireless efforts led by Maude Latham and the state-created Tryon Palace Commission. 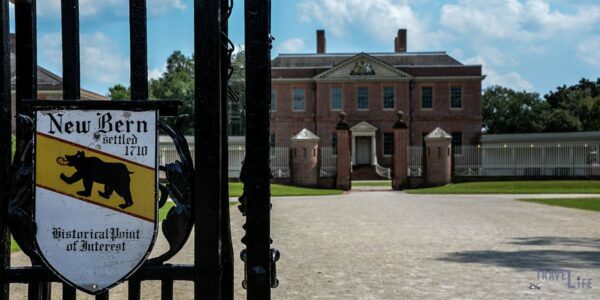 Visitors can learn about the Palace and a variety of other historic buildings nearby through a series of tours that are organized by the Tryon Palace Foundation. Since Tryon Palace is a popular spot for group tours and school field trips, I’d recommend arriving early to avoid the crowds. It was busy when we got there at around noon, although it was a weekend, so keep that in mind. New Bern can get quite hot in the summer, so early morning would be best if you’re visiting during the hotter months. 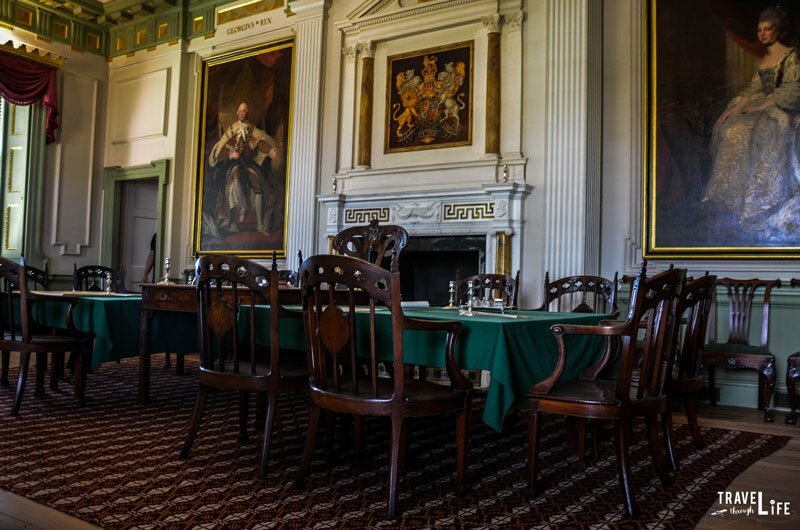 The homes and the Governor’s Palace are all air-conditioned, so your tours through the homes will remain cool. Fall and spring seem to be the most picturesque times to see the gardens. 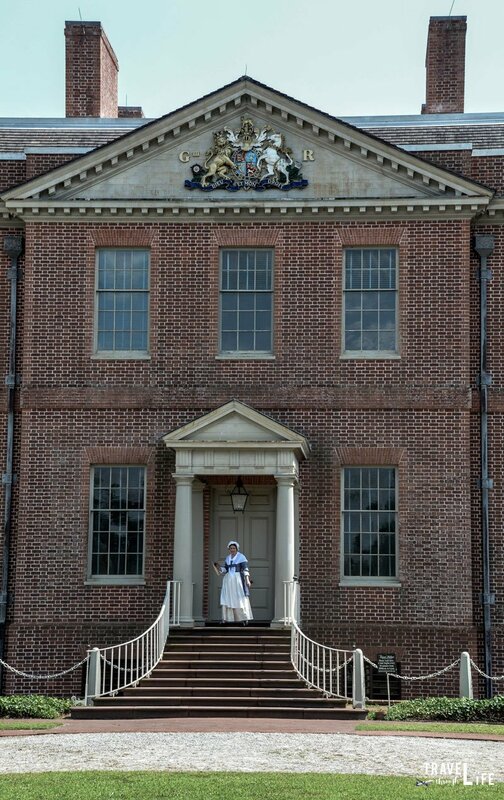 However, all the buildings that make up Tryon Palace are beautiful throughout the year. To reach the Palace, your first stop will be the North Carolina History Center (529 S. Front St.). This beautiful and eco-friendly building is where you can purchase tickets to the Palace and other exhibits. There are multiple options, depending on how long you want to stay. There are quite a few events that cater to all ages (kids, too!) inside the History Center, so plan a few minutes ahead of your visit to explore their latest happenings. 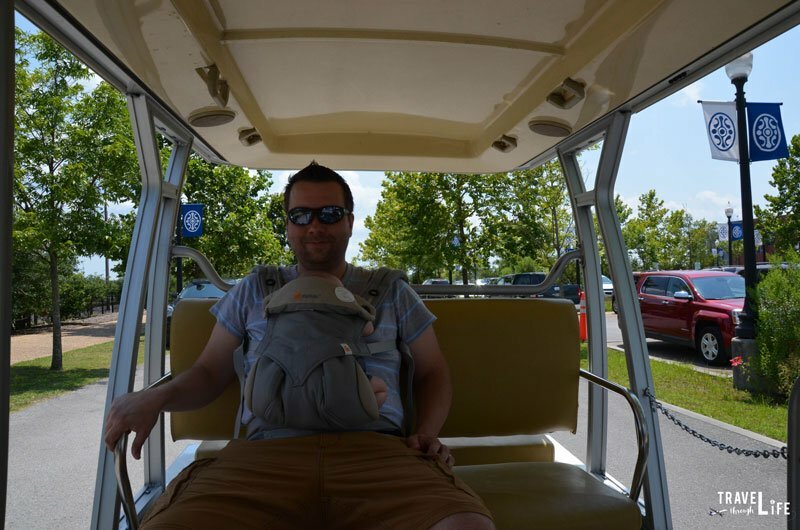 After you get your tickets and everything sorted, you’ll just need to wait a few minutes before one of the trolley carts will take you to the Governor’s Palace and other homes. For tours included with your one day pass, including more than 16 acres of beautiful gardens. 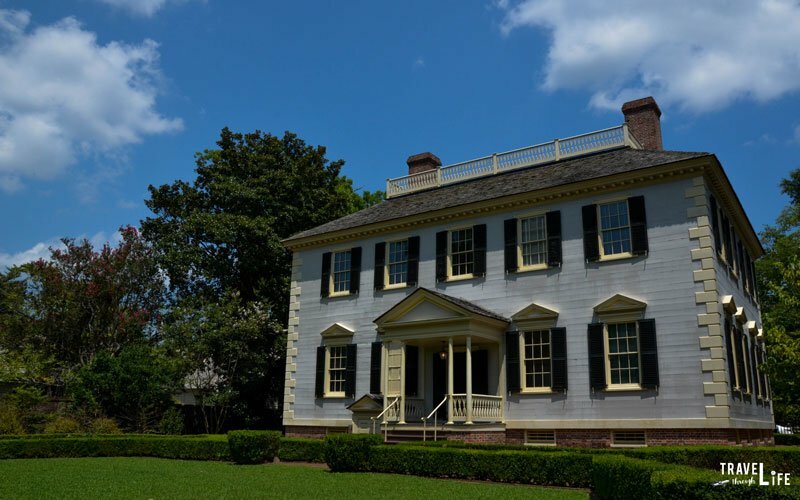 Give yourself a couple of hours so you can tour the historic homes before going on to the main Governor’s Palace tour. There is a considerable amount of history within each building. Once your Governor’s Palace tour begins, you see a charismatic and properly dressed guide come out of the front door. Through passionate and feverish storytelling, they will take you back in time to the period when it was built. You’ll learn about the Palace’s history before and after the Revolution and how its inhabitants lived. We really enjoyed walking around Tryon Palace and taking photos (no flash inside!) of the many beautiful spots in and around it. There are more famous historical sites away from Tryon Palace, including some beautiful churches, the Firemen’s Museum, and the place where Pepsi started. This is one of the many reasons that we fell in love with New Bern. I’m happy that we decided to come here and hope to revisit for many years to come. Special thanks to the New Bern-Craven County Convention & Visitors Center for setting us up with our tour of Tryon Palace. All opinions within this article are my own. For books we’ve listed, if you purchase any items through our links, we will earn a commission. You will not pay more when buying a product through my link. In fact, we oftentimes are able to negotiate a lower rate (or bonuses) not available elsewhere. Plus, when you order through our link, it helps us to continue offering you lots of free stuff. Thank you, in advance for your support!